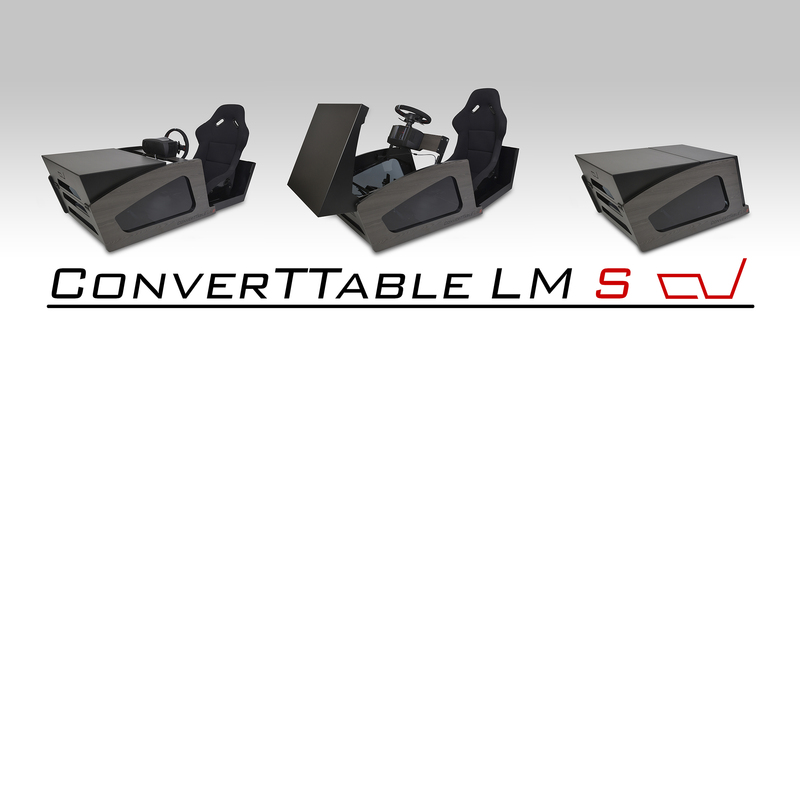 The new ConverTTable LM S priced 2499€ incl. taxes available now at Startnext! …10 years after the prototype was first revealed! This version is lighter and more affordable than the original. It extends the boundaries of multi-faceted furniture design, A Coffee table and Centerpiece which converts instantly into a full racing cockpit for the truly immersive experience. From coffetable to a racing cockpit! After a hard day at the office you’re relaxing in your living room. A moment later you are racing the virtual ups and downs of the legendary Monte Carlo circuit in a perfect racing seat and challenging your best time. 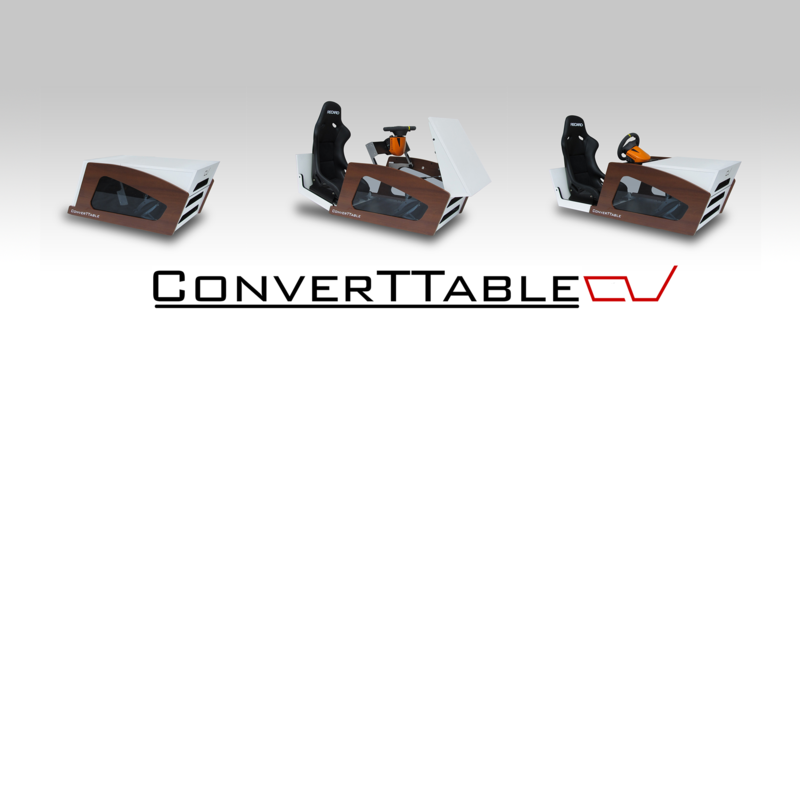 You don’t have to leave your living room because your designer table transforms in no time into a racing cockpit!